Ten Speed Press, 9781607745129, 136pp. A collection of 60 soulful, comforting, and wonderfully convenient recipes for Southern favorites—from Black Eyed Peas with Stewed Tomatoes to Country-Style Pork Ribs and Molasses Gingerbread. 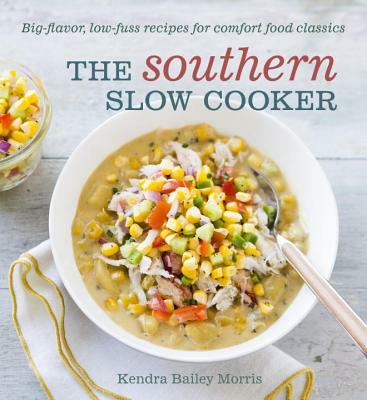 KENDRA BAILEY MORRIS is a cookbook author, food writer, recipe developer, and television host. Her writing appears in Better Homes and Gardens, NPR’s Kitchen Window, CNN’s Eatocracy, Saveur, Richmond Times Dispatch (where she was a food and recipe columnist for four years), the Associated Press, Washington Post, and Richmond Magazine. She served as a judge for the 2011 and 2013 James Beard Awards, and has a master’s degree in creative writing from Virginia Commonwealth University.